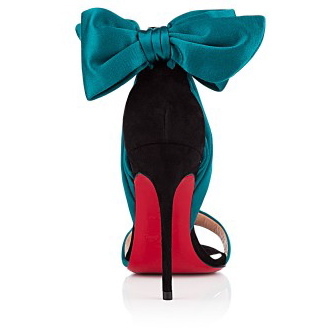 This is my latest shoe crush: the Christian Louboutin Vamponodo Satin Bow Sandal. The devil is in the details as they say. The magnificent teal bow, the combination of satin and suede, the delicate black ankle strap and the iconic red sole, it doesn't get any more vampish than that?